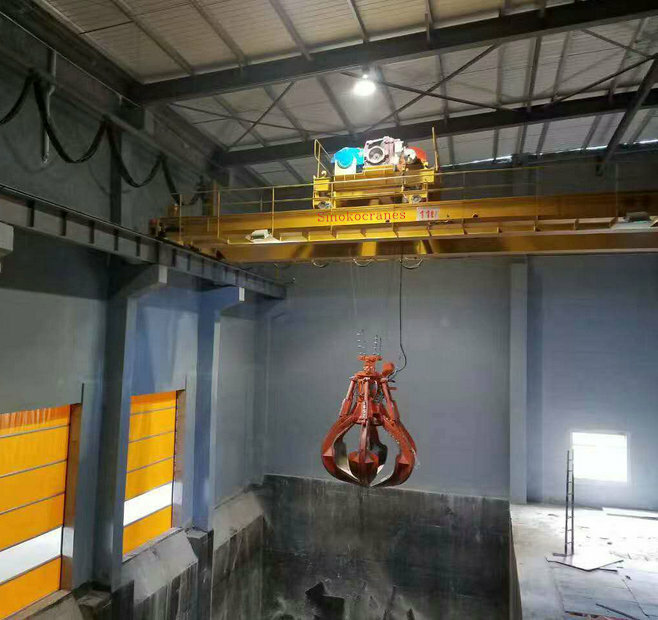 Waste grab crane is working above the waste storage pit and mainly used in waste feeding, handling, stirring, reclaiming and weighing. 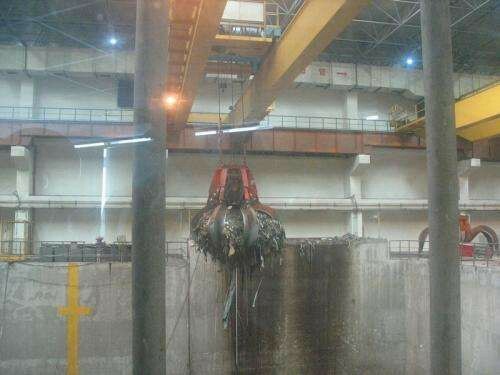 Waste lifting orange peel grab crane is a kind of automatic picking up machinery, its fetching and material movement is discharged by the driver's operation, do not need to support staff, and thus to avoid the heavy labor of workers, save the auxiliary work time, greatly improving the efficiency of loading and unloading. 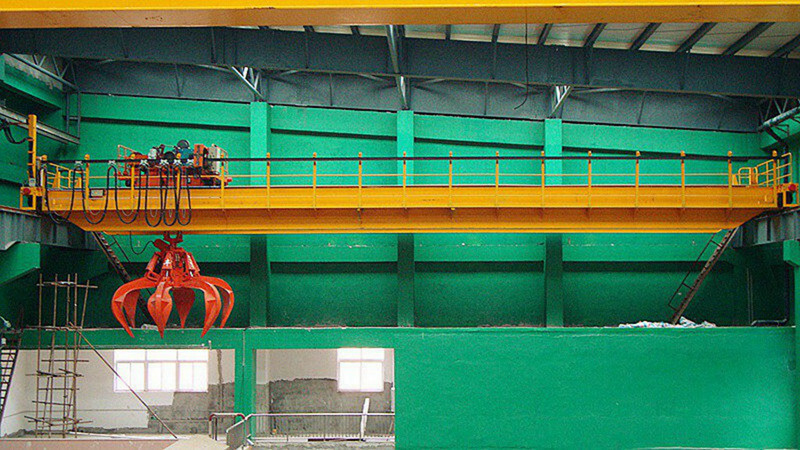 Structural materials are made of Q345B with high strength and fatigue-resistance. 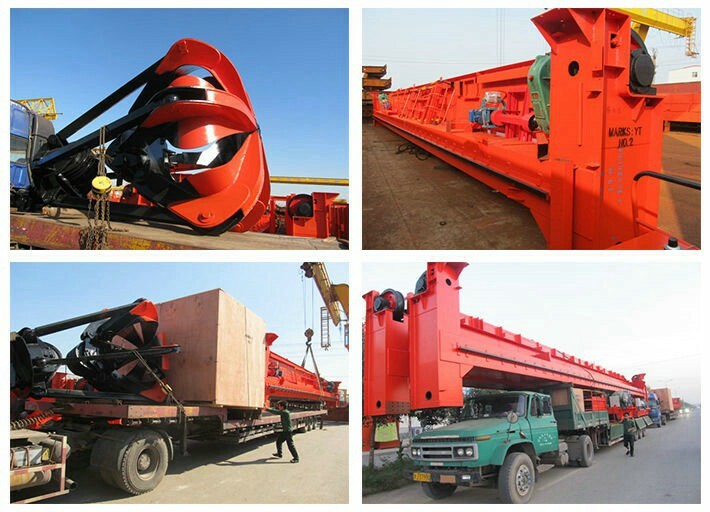 The main end carriage is connected with high-strength bolts and is easy in transportation and installation. 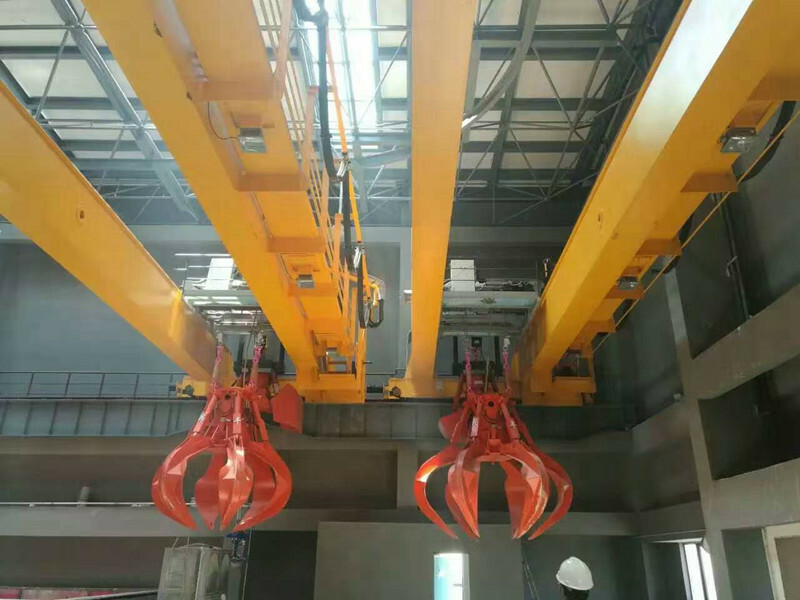 Trolley frame of the assembled wheel is integrally machined, which prevents the wheel from seizure even under the most serious conditions and thus increase the service life of both the crane and the plan house. 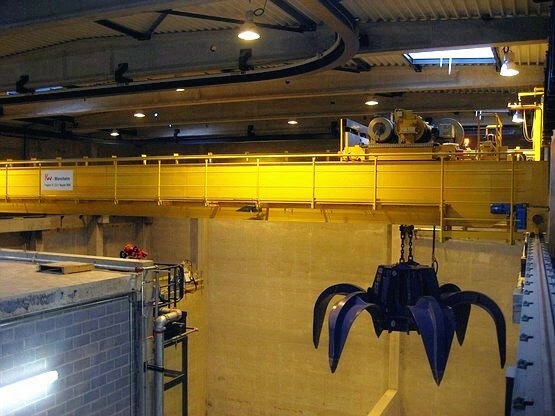 The bucket of the 4-lifting points anti-swimming structure prevents it from collision with refuse-pond. A. Barrel gear coupling with auto-aligning function. B. Block brake with auto-centering function. 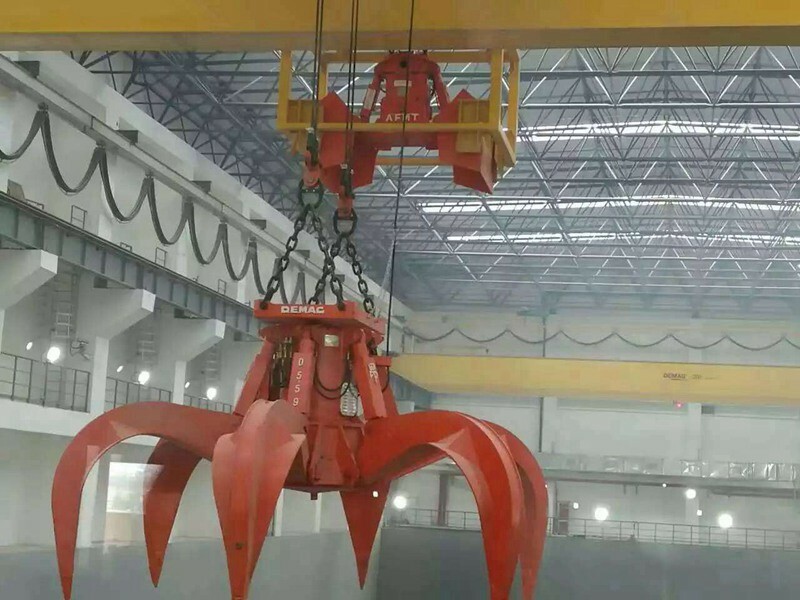 C. Power free cable reel keeps the winding and unwinding speed of cable consistent with the lifting and lowering speed of the bucket. 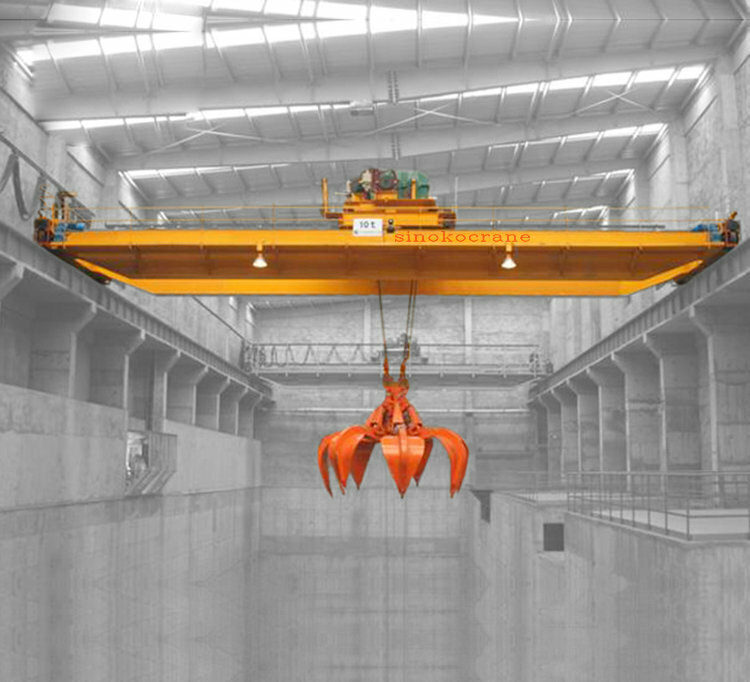 D. Weighting mechanism with four transducers promised the high accuracy.